If you need a simple stand for your iPhone or pretty much any phone with a flat back surface. This quirky iPlunge stand based on a plumbers plunger might help you watch your media in a little more comfort on those long flights. 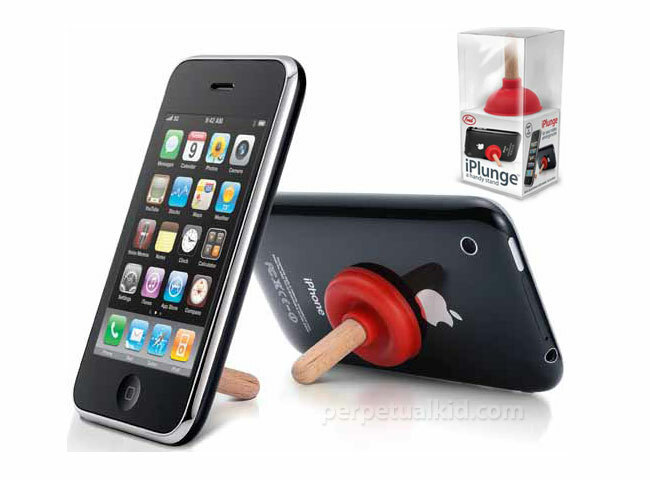 Simple push the red plunger of the iPlunge stand onto the back of your phone and let the suction keep the stand in place. Ideal for any time you need to tilt your phone for viewing.